By Sam Smith | 11.30.2015 | 9:25 p.m. 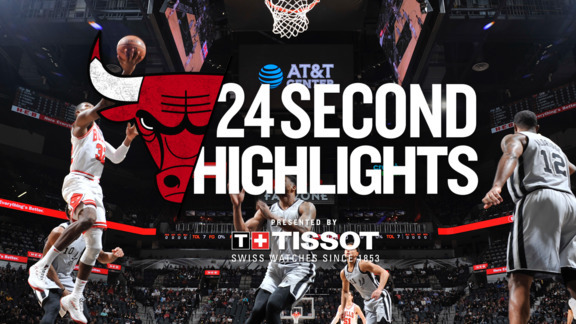 The Bulls Monday came up with an emotional 92-89 victory over the San Antonio Spurs with Jimmy Butler and Derrick Rose supplying the big defensive plays in the last possession. Butler held off the hot Kawhi Leonard with the Bulls leading by three with 10.6 seconds left. Leonard’s jumper was short. Tim Duncan grabbed it and pitched out to Tony Parker for what would be the three to tie. Rose hustled out to block the shot and the Bulls got the tough win. The Bulls got the final margin with free throws from Butler and Pau Gasol after the Spurs tied the score at 89 with about two minutes remaining. Gasol led the Bulls with 18 points and 13 rebounds. Butler had 14 points and Rose 11 points and six assists. Doug McDermott had 12 points and Joakim Noah 11 rebounds and seven assists in a spirited effort. The Bulls moved to 10-5 with their sixth win in the last eight. The Spurs fell to 14-4 after having won 11 of their previous 12. Leonard had 25 for the Spurs. Aaron Brooks remained out Monday with a hamstring injury while Kirk Hinrich was out with a hip pointer sustained against Indiana Friday. Coach Fred Hoiberg also disclosed Mike Dunleavy would be out longer as he will consult a specialist about ongoing issues following his back surgery. It suggested a weakness at small forward, though both Tony Snell and McDermott had strong first half play. The teams traded baskets early with Gasol making a pair of jumpers and connecting with Nikola Mirotic on a nice hi/low score. Then Jimmy Butler laid off a beautiful fast break pass to Derrick Rose for a score, though the Bulls fell behind 23-17 after one quarter with aggressive Spurs defense resulting in four steals. 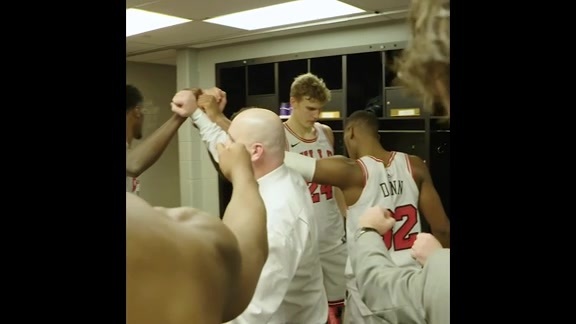 The Bulls then sent the Spurs into an early second quarter timeout with a 13-5 start to the quarter as Snell and McDermott hit back to back threes and McDermott ran the court for a score with Rose putting up a half dozen assists by halftime as the Bulls went ahead 49-48. The Bulls took a quick lead to start the second half, but the Spurs’ Leonard was impressive in finishing at the basket and getting second shots. That enabled the Spurs to shoot ahead 67-62 before a Butler steal and dunk against Leonard got the Bulls going and the bench into the game as the Bulls went into the fourth quarter trailing 73-70. It became one of the more intense games of the season down the stretch with Noah at his best with a pair of crossover drives for baskets and the Spurs battling back with numerous second chance opportunities. With just over five minutes remaining, the Bulls clung to an 85-84 lead.